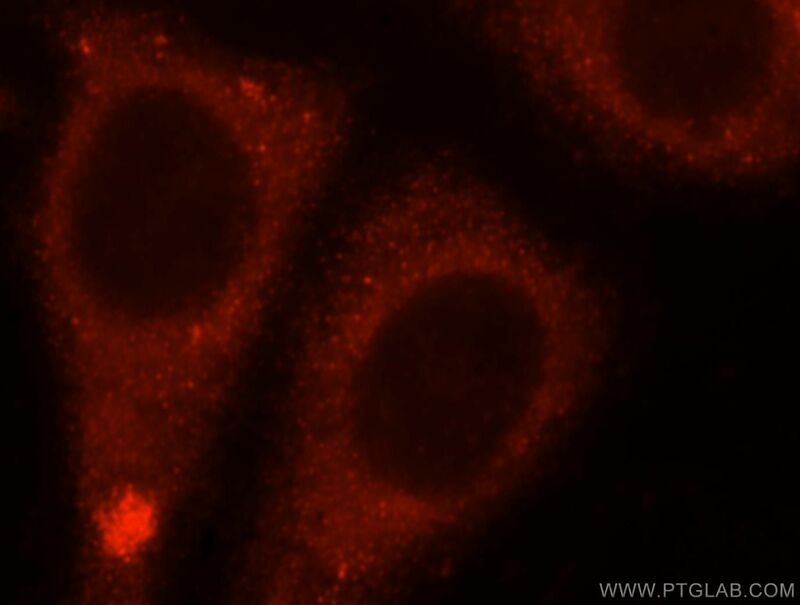 Immunofluorescent analysis of HepG2 cells, using ENPEP antibody 17655-1-AP at 1:25 dilution and Rhodamine-labeled goat anti-rabbit IgG (red). 1X10^6 HepG2 cells were stained with 0.2ug ENPEP antibody (17655-1-AP, red) and control antibody (blue). Fixed with 90% MeOH blocked with 3% BSA (30 min). 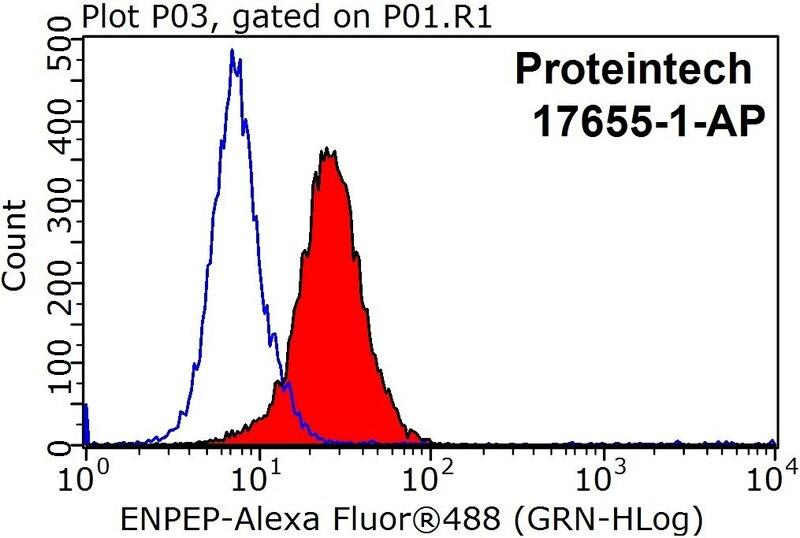 Alexa Fluor 488-conjugated AffiniPure Goat Anti-Rabbit IgG(H+L) with dilution 1:1000.